And the master said: “To understand, you must first accept that you know nothing. The martial arts has a vast intertwining of ideas that are hidden to most students. Hence, there is pervasive belief in what is referred to as the “secret techniques.” In reality, there are no secret techniques, the real secret is through a progression of clarity of vision, educated failures, and experience. These days, martial artists are in too big a hurry to accumulate as many empty hand or weapon forms or new fancy kicks, and other movements as possible. All the while they are leaving the essence of insight of the art itself and the experience one gets from patience far behind. Through patience and dedication a miraculous unexplainable metamorphosis takes place on several levels. The most important of these is clarity of vision, for you must understand that the young martial artist sees “what is” not “what could be.” In the haste of chasing belts, trophies, titles, etc., they quietly self-destruct their own progress. As they amplify their egos, their measurement of self imagery becomes unrealistic. Development in the martial arts must be by a natural growth. 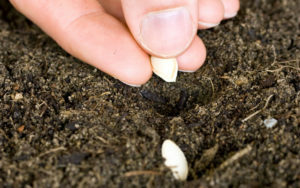 Just as when a seed is planted in the ground proper soil, as well as nourishment, sunlight, water, and patience must be given to it to grow along in a natural optimum way. In this way, it will grow strong, balanced and harmonious in it’s environment. Improper development leads a martial artist to an unclear perspective, understanding, and interpretations. Like gazing through smoke, nothing is quite clear. If the student proceeds on this misdirected path to his development, then instead of accumulating martial arts that can stand the test of time, his skill will disseminate over time. With clarity of vision, one move can have a variety of possibilities. An arm break can be an arm block. On a higher level, this move may be a pressure point strike. Martial artists who have clarity of vision will see such things as muscle and bone technique. The possibilities are wide and vast and will continue to expand as your vision expands. So, the question is, how do you expand your vision?